"The mission of the CAF is eduation and ensuring that generations of Americans will value and support the contributions of military in aviation. 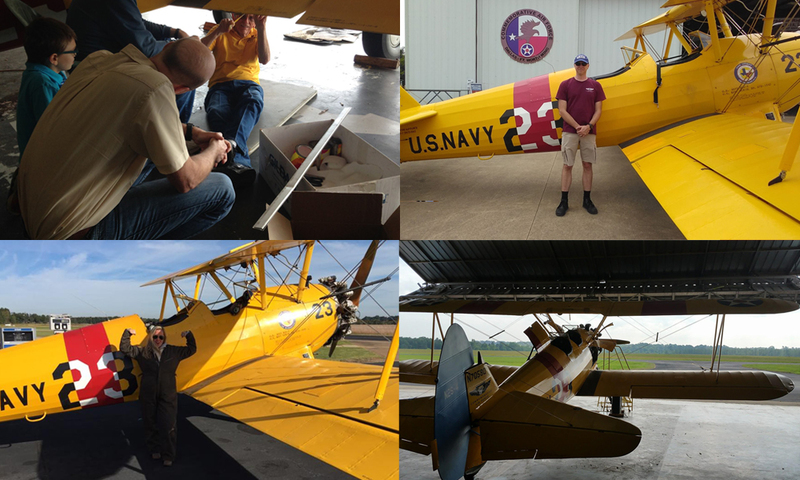 Members engage with the mission to protect these rare flying monuments to freedom for future generations through CAF preservation efforts, educational programs, museum exhibits and airshows." If you are driving, you'll need a gate code to get to the hangar. We can offer more information about hangar access and the club meetings at (903) 702-5353 or via Facebook messenger at https://m.me/lonestarcaf. If you have other questions you can also get them answered via the phone number or Facebook messenger. Some of the more common questions are answered at our FAQ. We are excited to see you soon! Come join us!